During our NICU stay I couldn’t help but look around at all the little prem babies that surrounded us and think just how big Penelope was. She was a very healthy 8lb13. One of her ‘neighbours’ was barely the length of her legs, but they all had one thing in common- they were poorly and needed to get better (and bigger in some cases) before they could go home. The difference was that with the prem babies, they knew what was ‘wrong’. They had arrived early, and needed a helping hand with breathing while their lungs developed or a hand with feeding until they were strong enough. Occasionally we’d see a tiny baby with jaundice needing photo therapy. This is just generally speaking of course, obviously some had more complex care needs. However, for us we didn’t know why we were there. Her initial serious breathing problems had been “fixed” thanks to ECMO. But, her low blood sugars remained a mystery. I couldn’t help but think it was diabetes, but we got told very early on that it wasn’t. Yet she was dependent on quite a high concentration of dextrose to keep her blood sugars at a safe level. This is the point in my NICU stay where I can wholeheartedly sympathise with any parent of a poorly baby with a rare genetic condition awaiting a diagnosis. Something not picked up on during pregnancy. The waiting, for results of the multitude of tests done, was utterly agonising. I just wanted to take my new baby home. It seemed so secondary in importance compared to the life and death situation she faced just hours after birth. The severity of her blood sugar condition didn’t kick in until we got our diagnosis. Penelope has congenital hyperinsulinism. I’m used to explaining this to people now as it’s so rare, so here goes… It is almost viewed as the opposite of diabetes. The pancreas secretes too much insulin and therefore causes (potentially fatal) low blood sugar. Luckily for us, Penelope responded very well to medication, as some babies can require a full pancreatectomy. We just had to watch for her being sick as this saw her sugars plummet, dangerously low. I began to feel better after we took her home, but at this point we didn’t know that our ‘rare disease journey’ was not over yet. 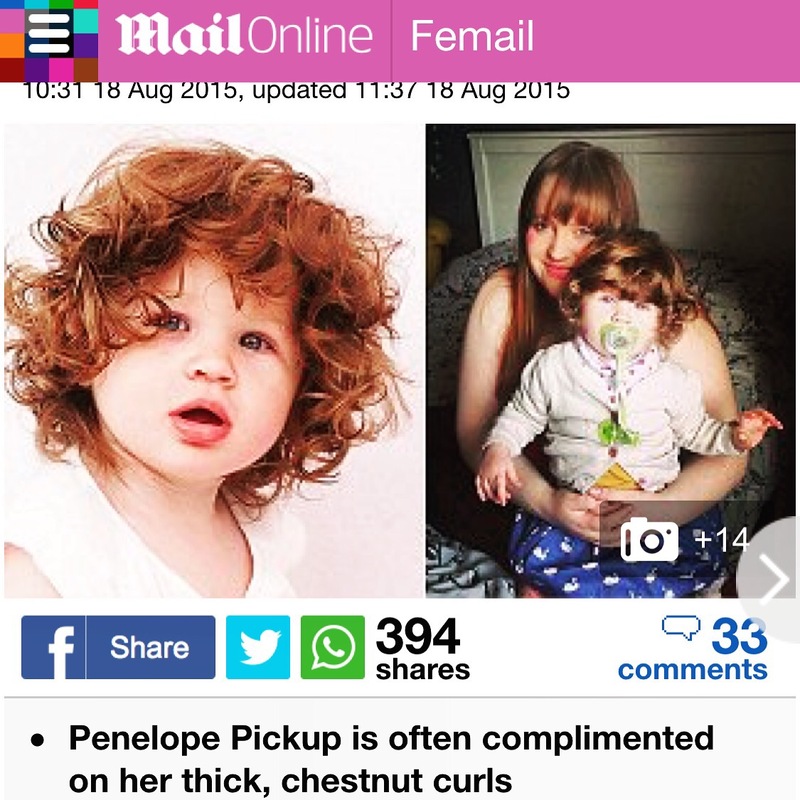 It would soon transpire that Penelope had ANOTHER rare condition. We met with an endocrinologist specialist some time after bringing our baby home (and, after several trips in and out of hospital with hypos and medication increases) and we learnt more about hyperinsulinism. We remained hopeful that Penelope’s case was transient (something she could eventually grow out of). She was brought in for a fast profile, to check how her sugars handled no food and she did brilliantly. They took lots of blood for more testing to try and get to the bottom of what was causing her HI. There are different genetic types and some cases can be down to a lesion on the pancreas that would require surgery, so it was important to understand what was causing it. Several weeks later we got a phone call asking us to come to clinic to discuss the results. They couldn’t tell us over the phone. This is another time when I can categorically sympathise with parents waiting to go to clinic for results. It was a completely agonising week as I knew deep down that they had found something. I just didn’t know what. 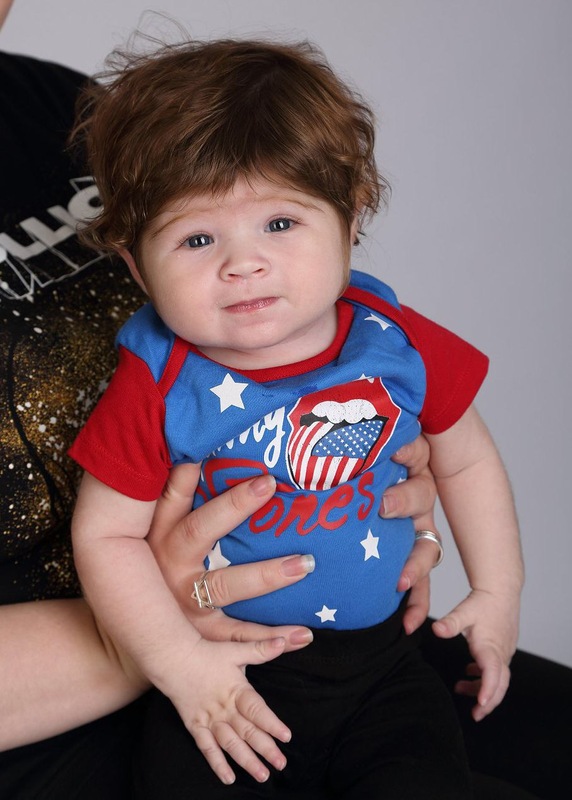 When we met with the same endocrinologist, he sat us down and explained to us that Penelope had a very rare condition called Beckwith Weidemann syndrome. I had already read about this as it is something that kept appearing the more I read about HI. There was some connection. I’m also used to explaining this one, as it is equally as rare! It is an overgrowth condition with many different symptoms, ranging from low blood sugar to hemihypertrophy (where one side of the body is longer than the other). A general characteristic is protruding tongue. We always thought Penelope’s peeked out a little! However, her symptoms were subtle. She of course had the low blood sugar, we consequently found out this was due to an enlarged pancreas meaning it secreted too much insulin; and a mild case of macroglossia (enlarged tongue). 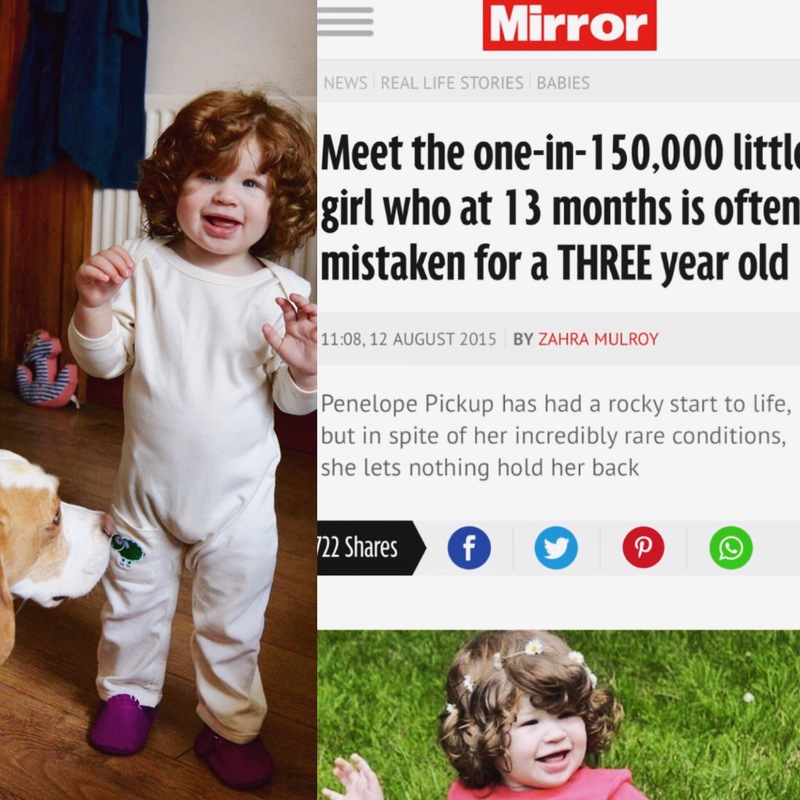 Had it not been for one rare condition we’d have never got the diagnosis of another! (That’s the ‘well done to rare’ bit)! And, we are fortunate that we did because one of the biggest worries that comes with BWS is an increased risk of Wilms tumour and therefore regular screening until 8 years of age (when the chance completely diminishes) is required so that fast action can be taken and the treatment is thus very successful. We got referred to genetic counselling, and they explained what this meant (genetically) in detail. 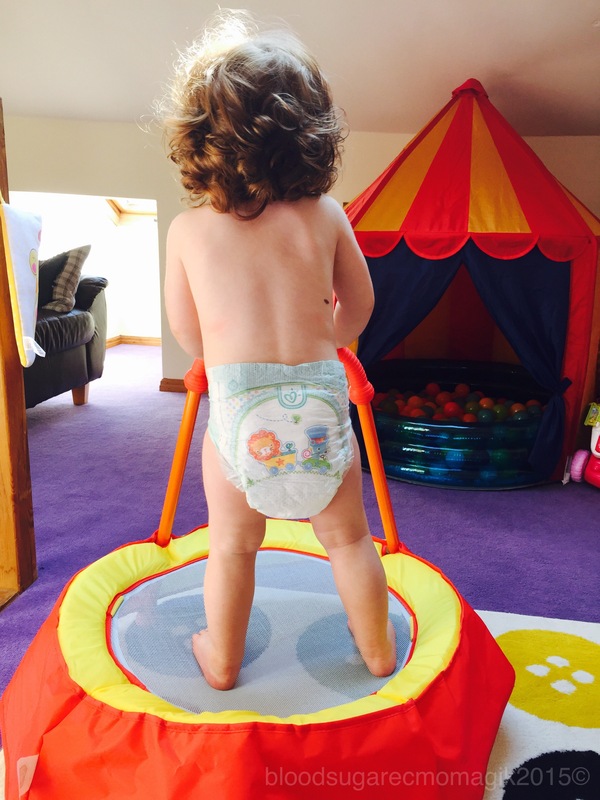 I have had to learn so much since becoming a mum, more than I ever thought possible! In our case it is completely sporadic, so unlikely to occur again in the family. There were many positive aspects to focus on too. It is a condition that gets better with age, once they’re past the initial hurdle of screening, the rapid growth slows down. 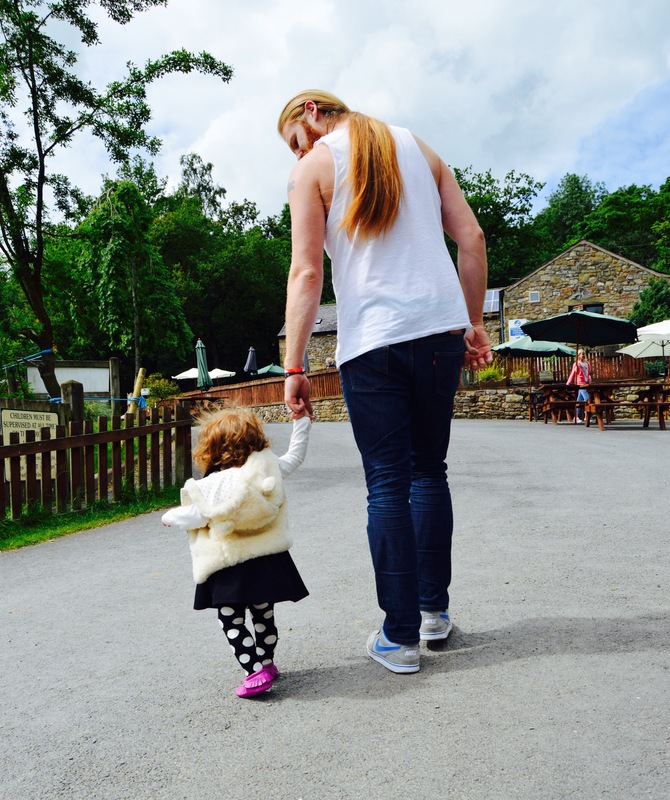 Which was a massive “phew” for me as her daddy is 6ft 6, so combining that with an overgrowth condition, I thought she would tower over me before starting school (I’m a mere 5ft nothing)! She will also grow out of the hyperinsulinism eventually as she ‘catches up’ to her pancreas. It is difficult enough dealing with a ‘touch and go’ situation like ours where she had to be airlifted soon after birth and have a rare and invasive, last resort procedure to treat the severe meconium aspiration causing breathing difficulties; ECMO. But, then to deal with not one, but two rare conditions unconnected to this, it did take it’s toll. But, Penelope is doing marvellously considering. 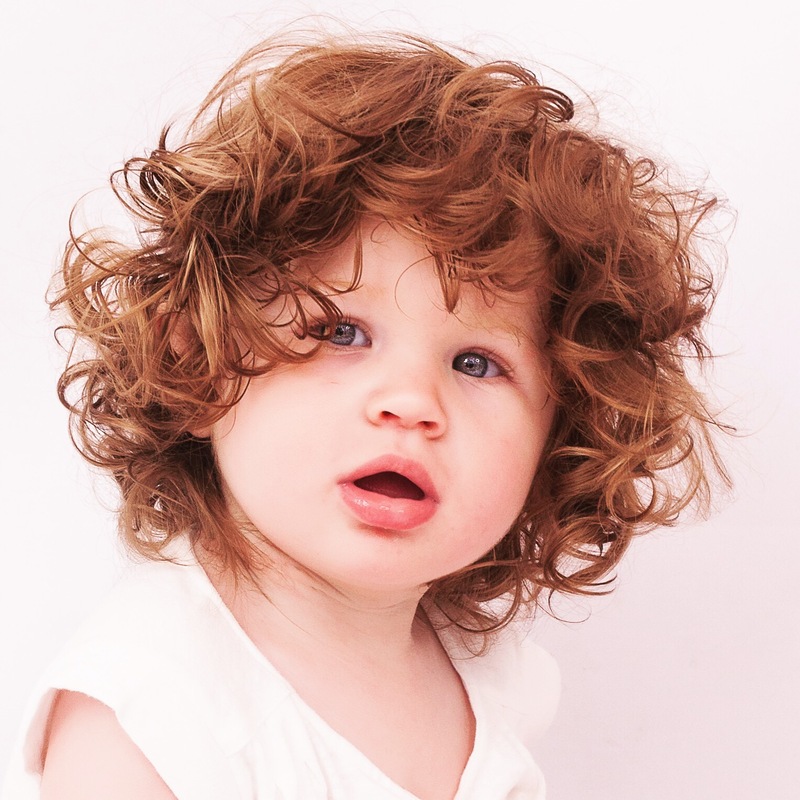 And is a lively 14 month old just like any other, walking and talking and so beautiful! And, one in a billion for all she has been through, a genuine miracle. She just towers over her friends of the same age! We are extremely lucky to get the diagnoses as it has provided us with some resolution and we can get the correct care she needs. There’s also a great network online of mums (and parents) out there who are always on hand to offer advice from experience and support. 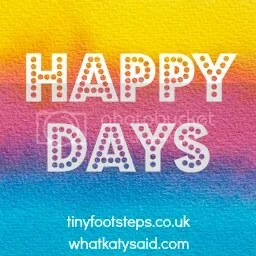 I hope this can offer reassurance to anyone starting on their rare journey. I’m just yet to come across another BWS of HI kid that has had ECMO too! Everything is a learning curve with baby number one, and there are a few things I wish I had known about then! These are some of those things I wish I had known about or I’ll find myself heading out to pick up next week as my due date fast approaches. With baby number one, I thought I’d play it by ear with feeding. Attempt breast, hope for the best and keep some ready made bottles in the house just in case. That didn’t really go to plan. And, it was one of the things I yearned for most during our NICU stay… To feel the bond between mum and baby that breastfeeding brings. Although I didn’t get to, I did get the opportunity to express and was fortunate enough that both Glenfield (where she had ECMO) and my local NICU provided me with a pump to do so (the Medela Symphony). Medela do a smaller electronic one (Swing) that is definitely top of my wish list with number two on the way. Even though I’m hoping to establish breastfeeding, it is so easy to pump and store and allow dad to take over some feeds then! Everyone says that the first year with a new baby flashes by in the blink of an eye and you won’t believe it until you are holding the birthday cake with one tiny candle on top! I must’ve taken a million pictures of Penelope already, and while they’re all dated I think these stickers are a really sweet way of putting a time to a picture and something I will definitely be buying for number two as I imagine it will go even quicker this time! Plus, they donate a certain percentage to Count the Kicks, which is a tremendous cause and an added bonus. I’m fairly certain I want to go green this time. It’s truly astonishing how many nappies they get through. Having done quite a bit of research on this, I will probably invest in one or two and see how they work out. 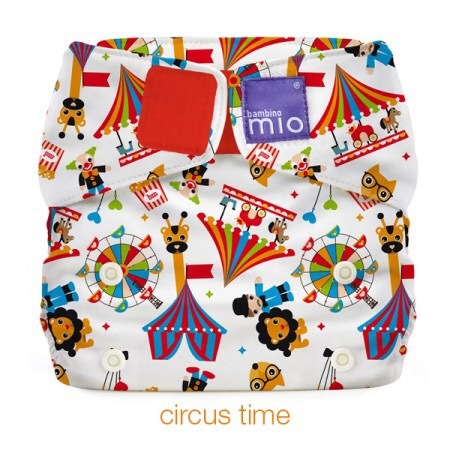 I love the Bambino Mio designs, and Penelope has already tried out the swim nappies and they’re fab. It is also believed that babies in reusable nappies are less likely to develop nappy rash, this alone would be totally worth the switch, especially during teething!! 4. 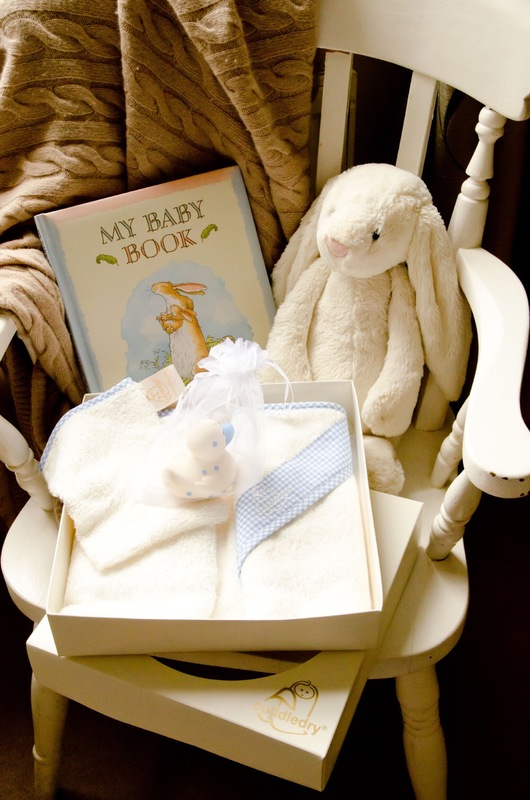 Baby BOY gift set! After being generously inundated with lots of lovely dresses last time, I am quite excited to treat the new arrival to his very own ‘something blue’! I adore this set, and think as a one off treat it is a lovely idea. 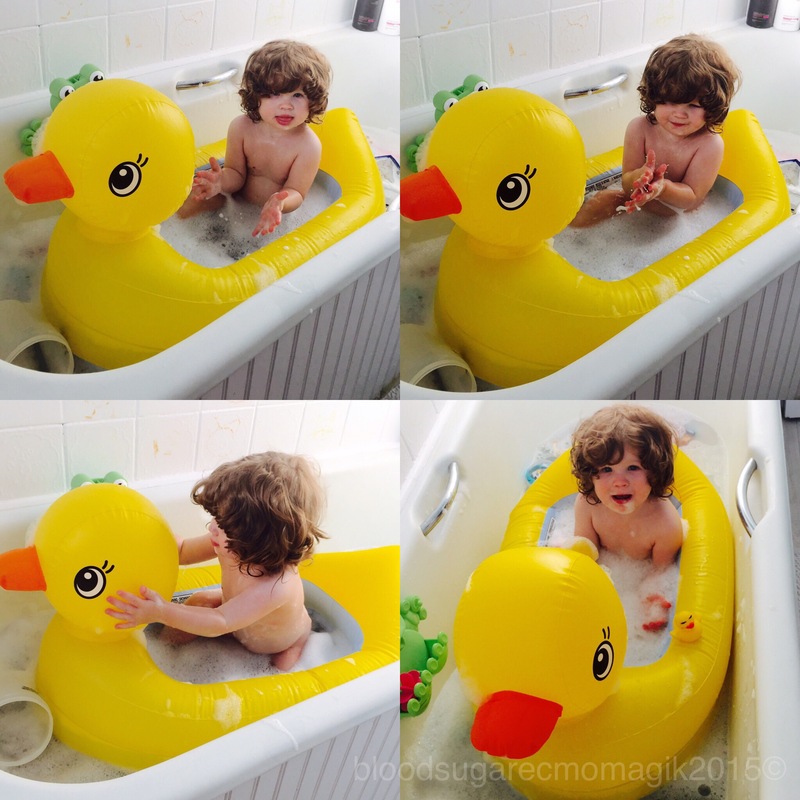 This isn’t really something that will come in handy or is for baby at all in any way(! ), but come August when I look back over the last two years, I will have been pregnant for 18 months of that time. The six months that I weren’t, we had our initial NICU stay and were adjusting to life with a newborn, as well as various hospital stays due to low blood sugars so I never really got chance to have my first post pregnancy alcoholic beverage. Also, I coped surprisingly well with the heat during my first pregnancy but suffering like mad with it this time. I can’t wait until I can enjoy a refreshing mojito or three. I Wish I had known about this when number one was really little as it would’ve come in extremely handy. 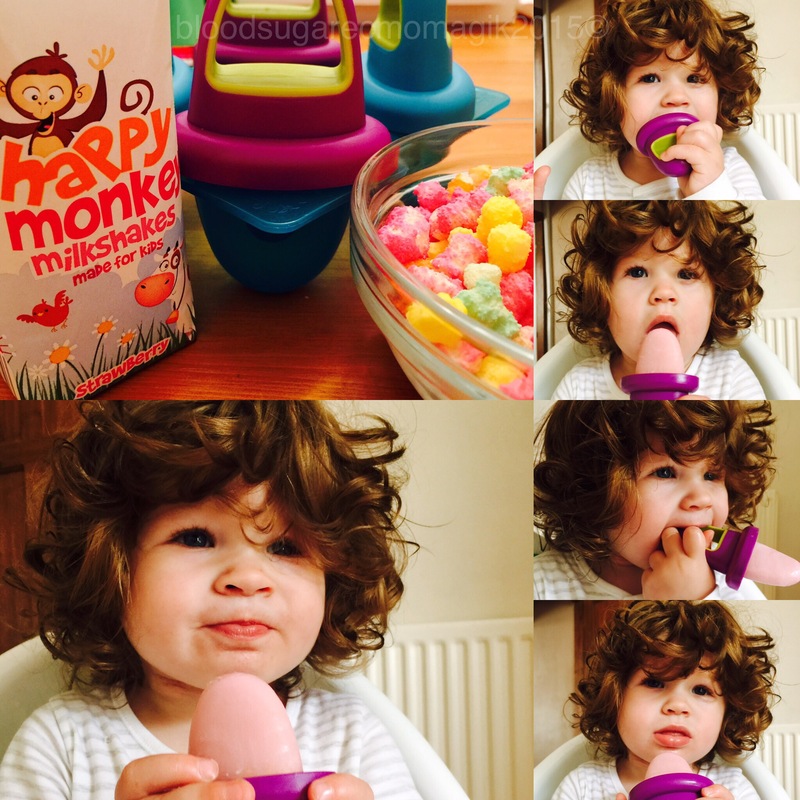 That is why I am keen to try it out with newborn #2, and why I’ve added it to my list. 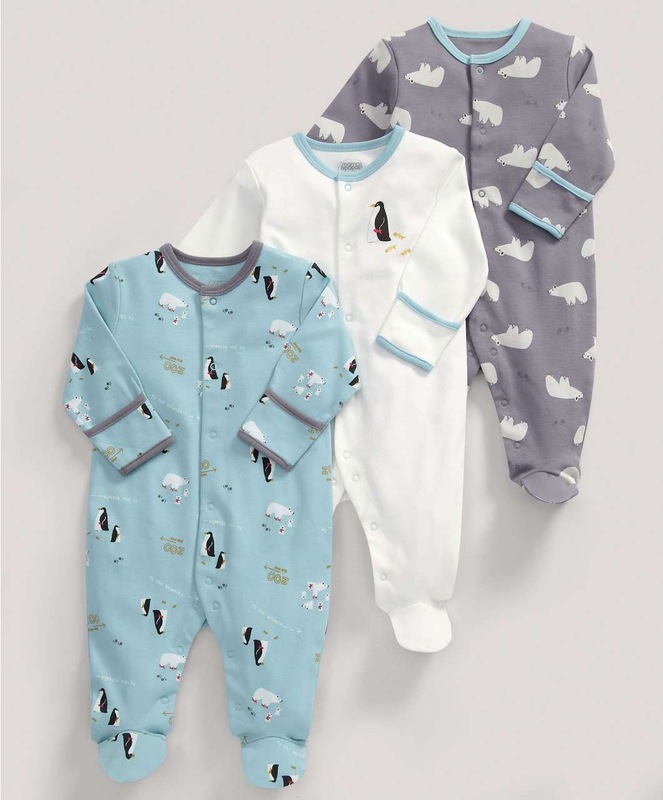 After attending the Mamas and Papas Parent To be Event today I have found lots of lovely baby boy suits that I may have to treat the bump to! But especially loved these penguin ones. Think there will be a mad dash to the shops before I’m quite ready for this next baby! The first half of the week was all hospital appointments and blood tests for us both, so for the second half of the week we’ve tried to have lots of fun to balance things out. And, particularly because Penelope won’t be an only child for much longer. 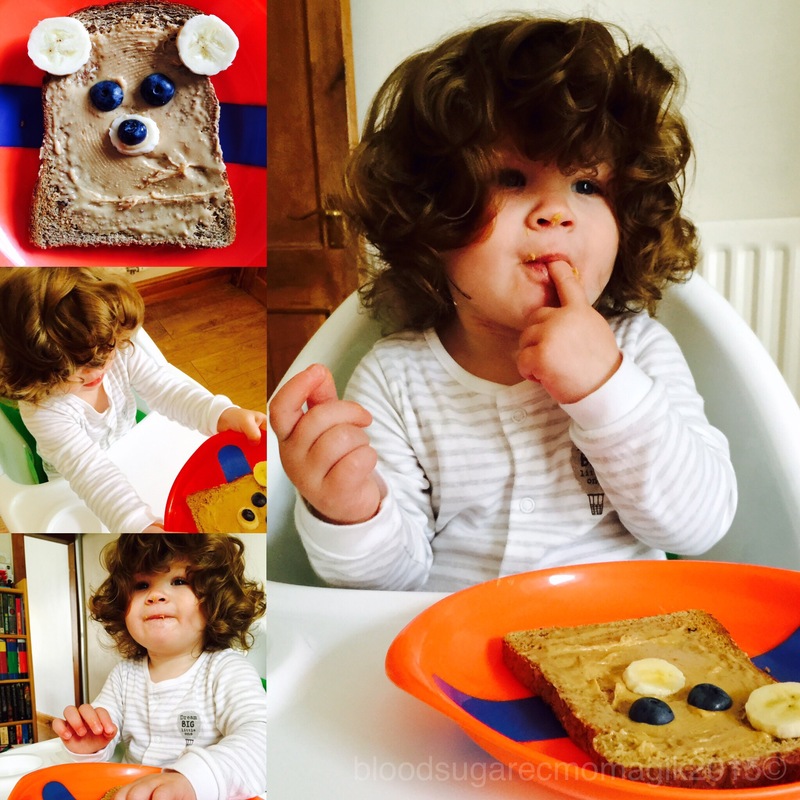 We had more fun in the kitchen making peanut butter, banana and blueberry bears! Penelope was mega impressed with this. She picked and ate all the fruit first before savaging the toast! She’s also been shoe shopping for her first “real” shoes. She’s a size 5! A combination of the BWS and having a 6ft 6 daddy. She is going to cost us a small fortune in shoes.